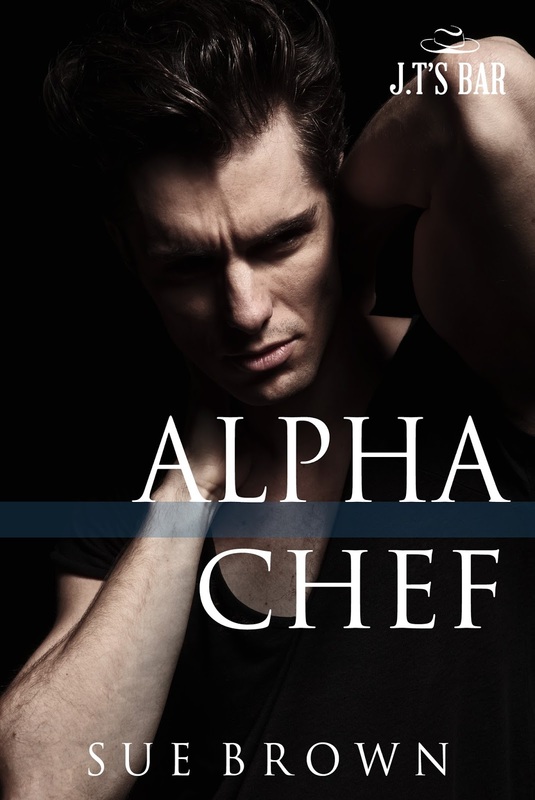 Alpha Chef is the second book in the Sue Brown-penned J.T. 's Bar series. 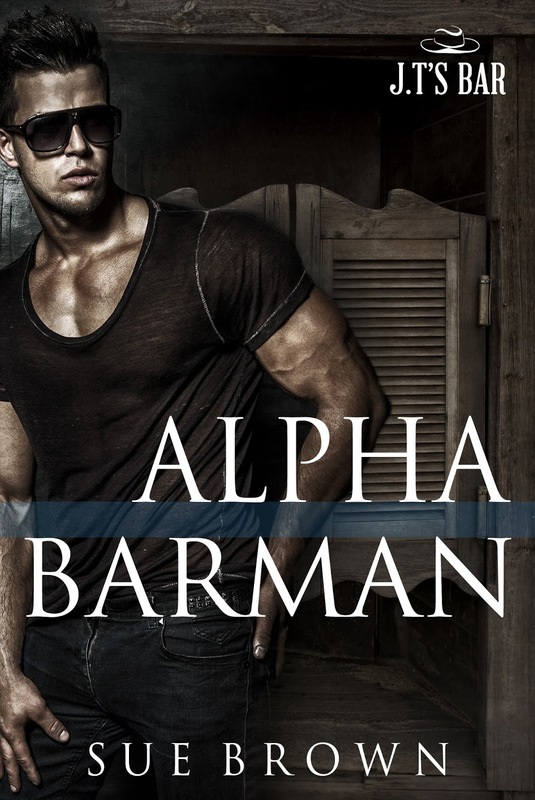 This has the suspense thriller feel that I enjoyed in the series starter, Alpha Barman, and it's nicely balanced out by the love story that unfolds between thirty-two-year-old short-order cook Greg Mitchelson and thirty-seven-year-old US Marshal Colm Riordan. Greg's been in witness protection for fourteen years, and just when he finally thought he had a place where he could plant roots, he finds both his home and the diner he worked at burning to the ground plus his boss, who was more of a father than the man who ultimately kicked him out of the family home after finding out Greg was gay, murdered. Suspicious that someone in the US Marshals office who was a mole, Greg goes to the one person he knows he can trust--his estranged brother Cole Mitchelson, who used to be in the army but now works at J.T. 's Bar. Immediately welcomed with open arms, Greg is warmed at the knowledge that Cole and his former team members will protect him. But there's one more person who would do anything to keep Greg safe: US Marshal Colm Riordan. Learn more about Sue Brown. Purchase Alpha Chef on Amazon.